I’ve heard that your taste buds change every seven years or so. I know, that’s a weird way to start off a review about the DJI Ronin-S Gimbal but hear me out. The point is, as photographers, our creative inclinations and proclivities are in a constant state of flux. This is a good thing because one of the most damaging things that can happen to any photographer is to become stagnant and wholly complacent. Just a few months ago I vividly remember saying to a friend “I don’t do video”. That all changed when I flew the DJI Mavic Pro drone for the first time and you can find that review here. Needless to say, I’ve been bitten by the videography bug. 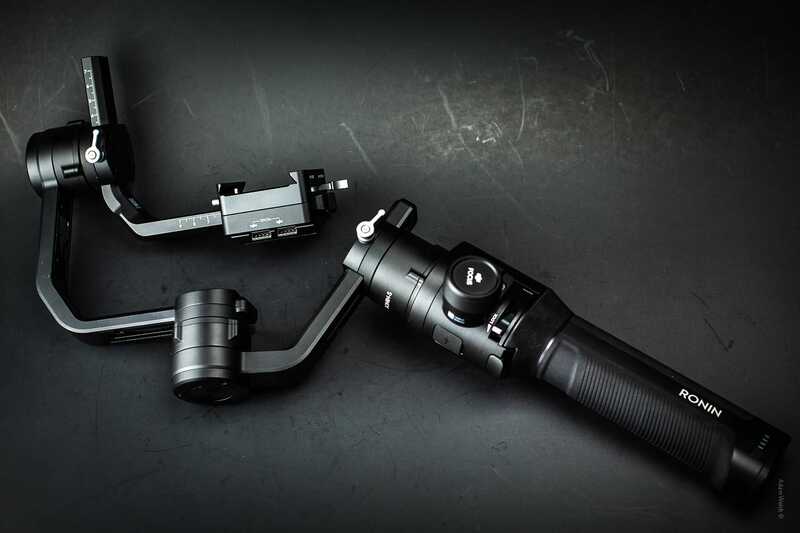 The Ronin-S is the first single-handed 3-axis stabilization gimbal to be produced by DJI. 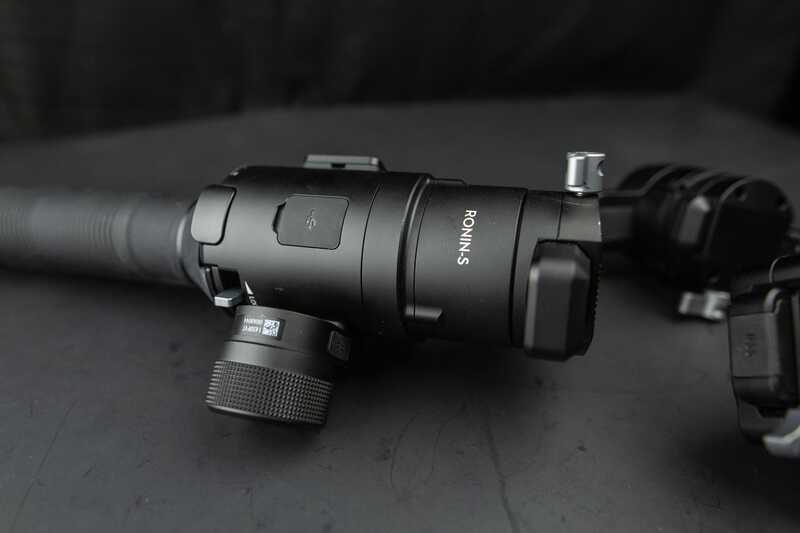 If you do much in terms of videography then you may very well be familiar with their two-handed Ronin-M gimbal as well. 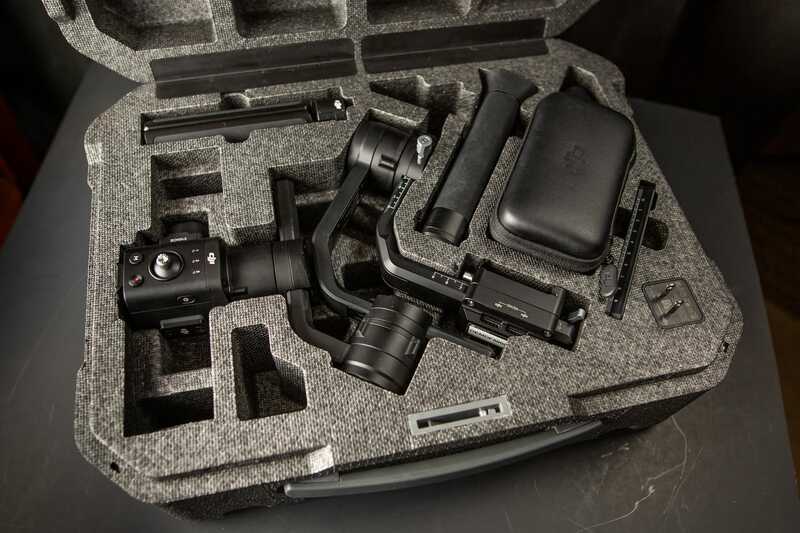 With the Ronin-S, DJI sought to compress the major features found in larger stabilization systems into a package that can be easily handled and transported with less headache. This was the first single-hand stabilizer I have evaluated and I was beyond excited to put it through its paces. 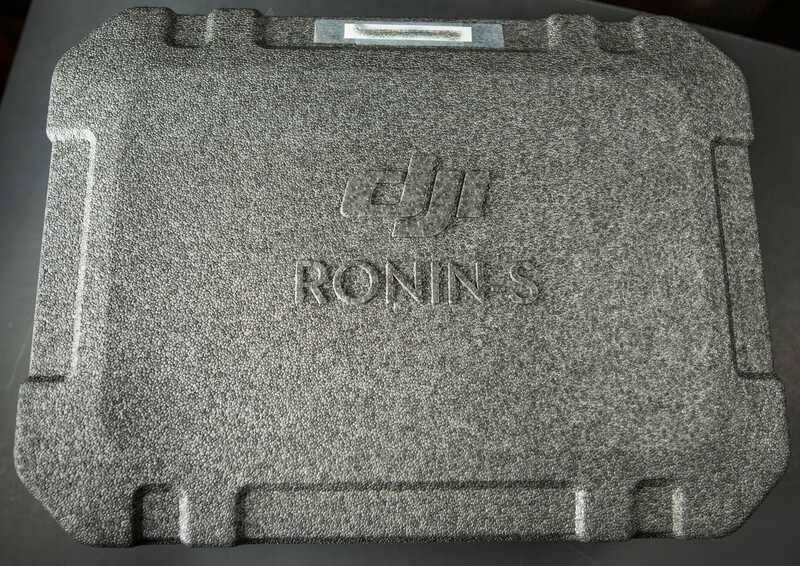 Before anything was technically even “out of the box” I was immediately struck by the sheer tank-like transport case which housed the Ronin-S. Constructed of densely molded foam and complete with a twist-lock mechanism the carrying case looks equally professional while at the same time like something straight out of a spy movie. 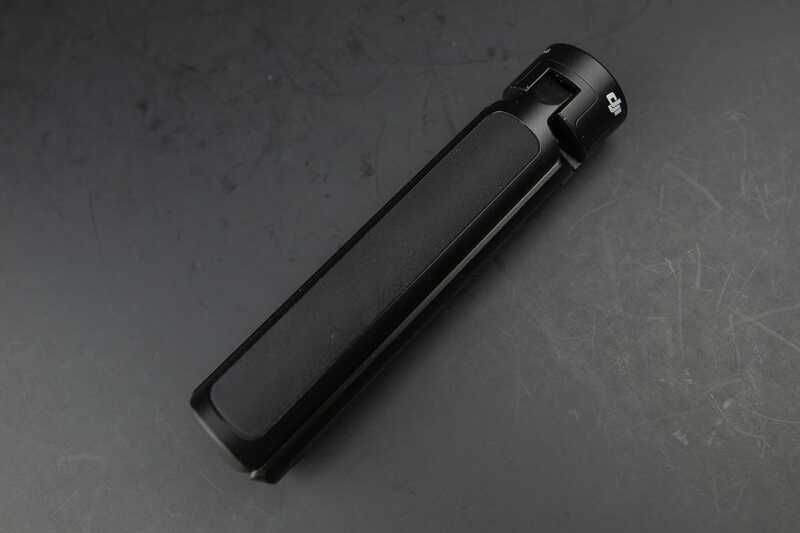 Upon cracking open the case, I am met with a beautifully arranged bouquet of what appears to be anodized matte black aluminum glory. All the markings are extremely clean with the contrasting lock levers being left in their natural brushed aluminum finish makes for one aesthetically elegant setup. After balancing the gimbal with my Canon 5D MK3 and Sigma 24mm f1/4 Art Lens I set to work with the Ronin-S. 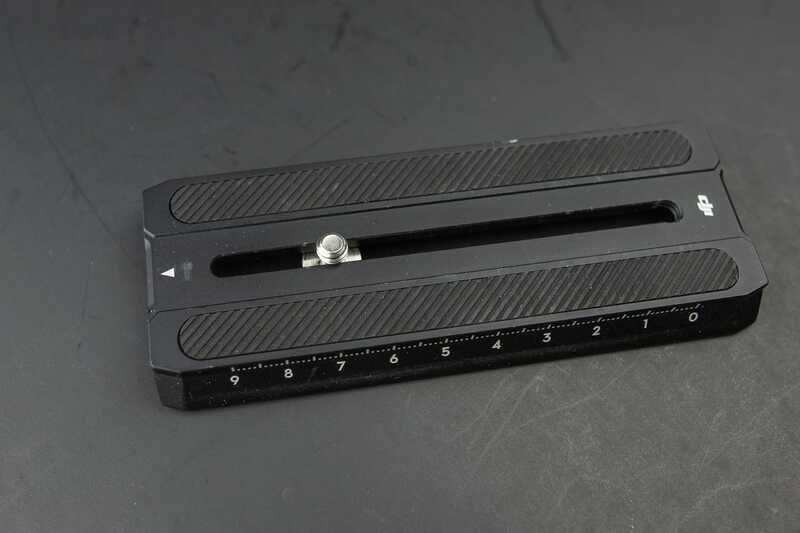 I have to say that balancing process was painless and quite straight forward largely thanks to the included tripod foot. 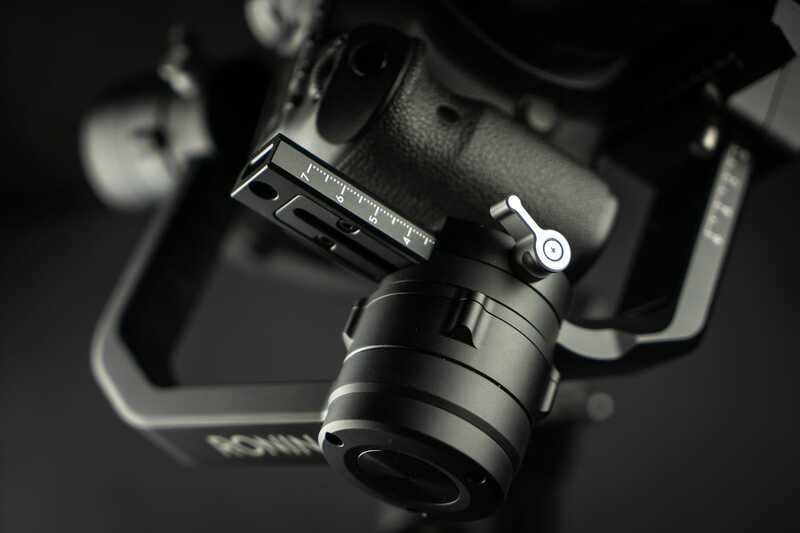 Having the tripod attachment included with the Ronin-S is an extremely convenient feature when it comes to accurately balancing the gimbal. 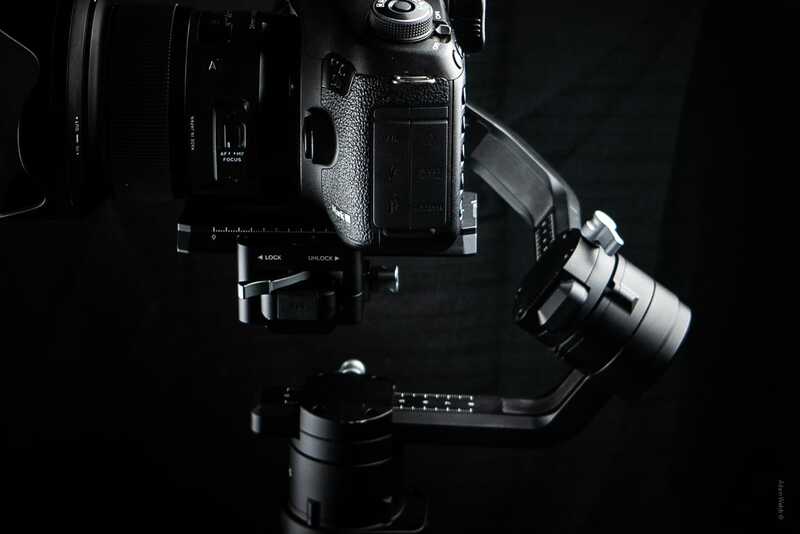 The tripod base also collapses down and functions beautifully as an extension handle to aid in maneuvering the gimbal. I was glad to have this added leverage due to the overall weight of the camera/lens and gimbal equalling roughly 7.1lbs (3.2kg). One thing that is absolutely fantastic about the overall design of the Ronin-S is the positioning of the rear motor; DJI has brilliantly dropped the angle down to the point where it does not (or not completely) obscure the view screen on the back of your camera. This is great if you don’t have or are choosing not to use a secondary monitor. 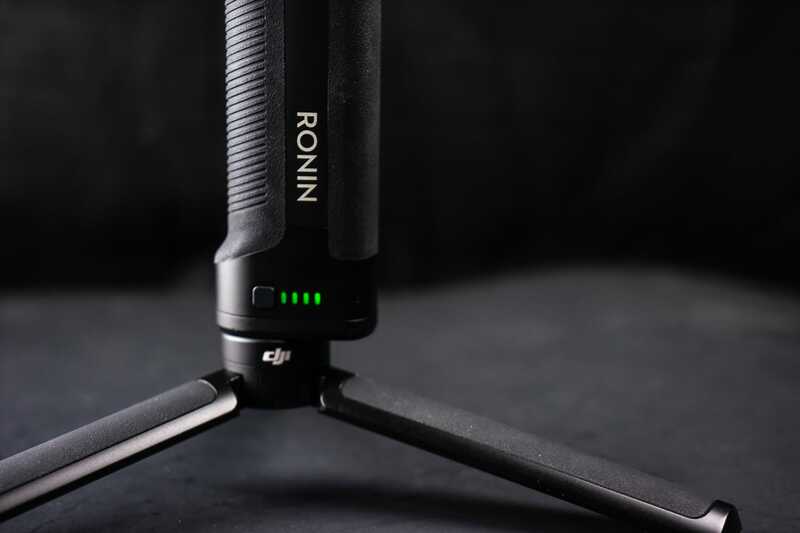 Overall, the Ronin-S was extremely comfortable to handle with all of the contact surfaces being neatly rubberized and easy on the hands. Again, I would highly recommend making use of the included tripod attachment to aid in extended or delicate framing especially with larger camera setups. The joystick was smooth and the mode button was nicely placed and easy to reach. 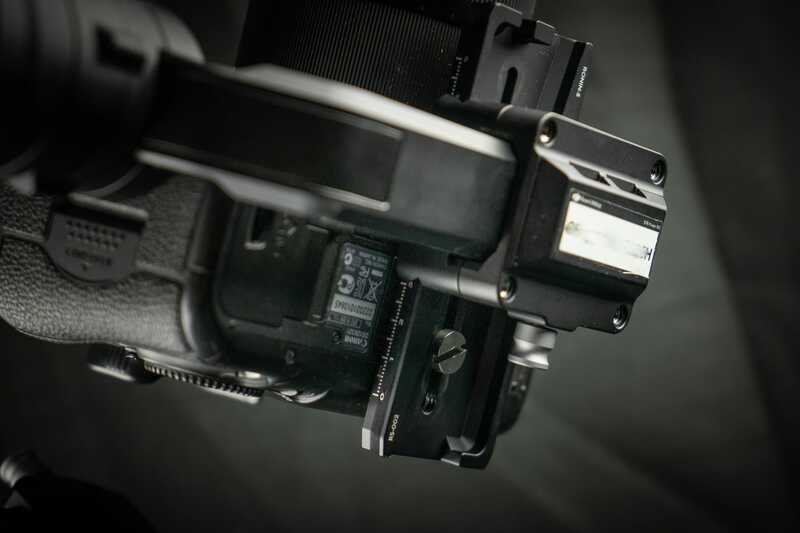 A cool feature of the Ronin-S is of course the trigger; holding the trigger locks the gimbal in place, two taps of the trigger centers the gimbal, three taps switches the gimbal into selfie mode. Also of note is the ‘sport‘ mode. 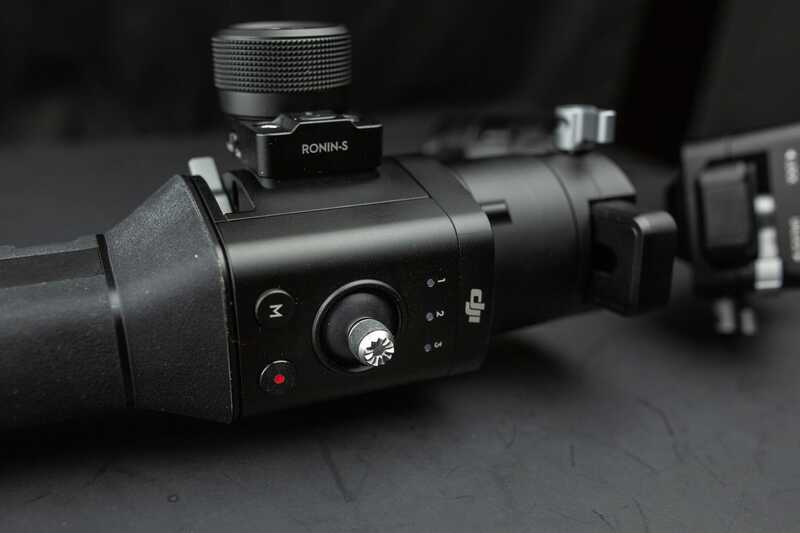 Simply holding down the mode button significantly boosts response time of the movements from the Ronin-S.
What can I say? At the end of the day the bottom line for gauging the suitability of any gimbal comes down to the smoothness of the motion. The Ronin-S performed beautifully in this regard. With some judiciously rolled foot placement my steps were all but unnoticeable. 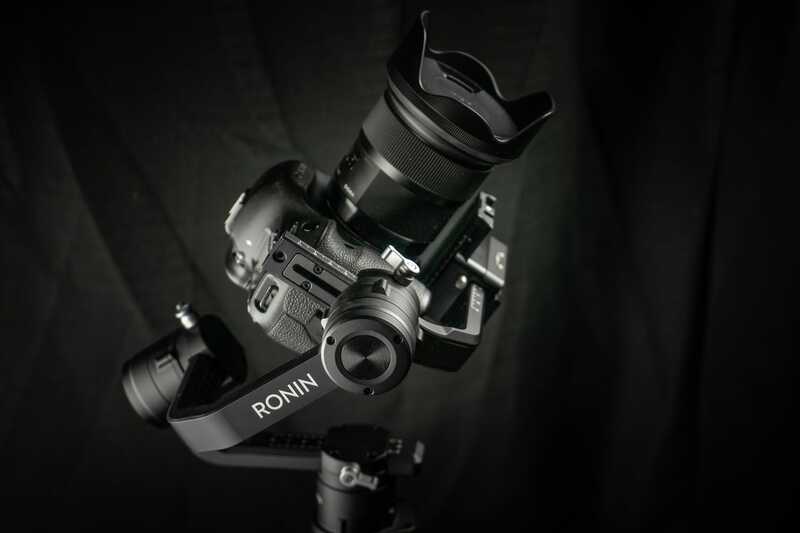 Depending on your camera compatibility the Ronin-S also offers an exceptionally smooth and conveniently removable focusing wheel. I loved how easy it was to switch my camera to the “underslung” position which made capturing extreme low perspectives a breeze. 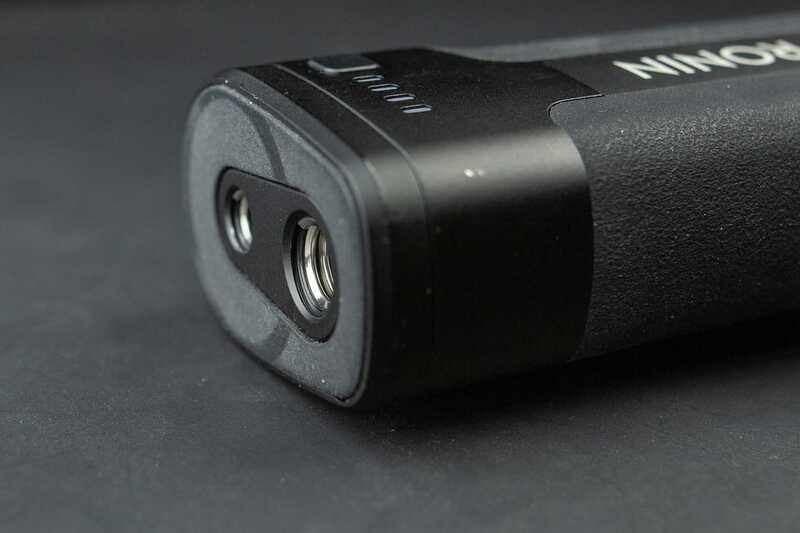 And if you’ve got a strong stomach you’ll love the complete 360 degree spin which is possible with the Ronin-S switched to “flashlight” mode. 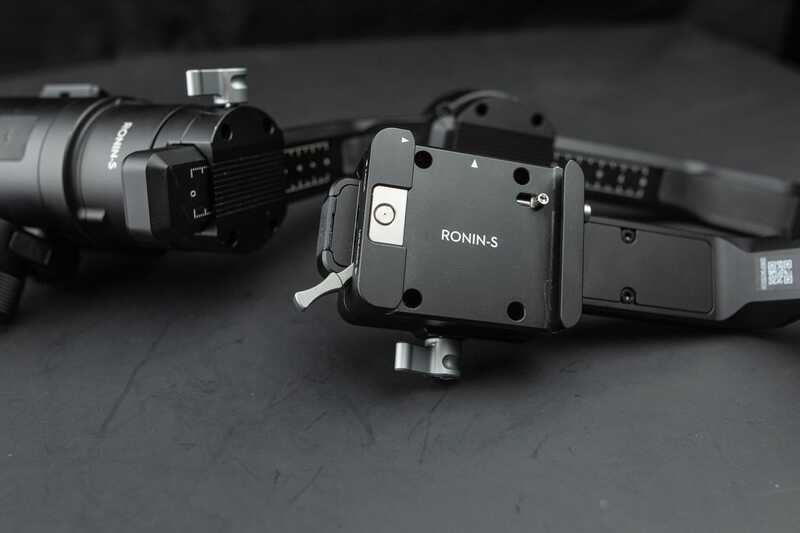 Of course it’s difficult to show such a dynamic product like the Ronin-S using only photos so if you’re interested in seeing some test footage and the real-time movements of the Ronin-S (and why shouldn’t you be?) check out my full video on the gimbal. Stabilization technology for videographers has taken somewhat of a quantum leap in recent years. 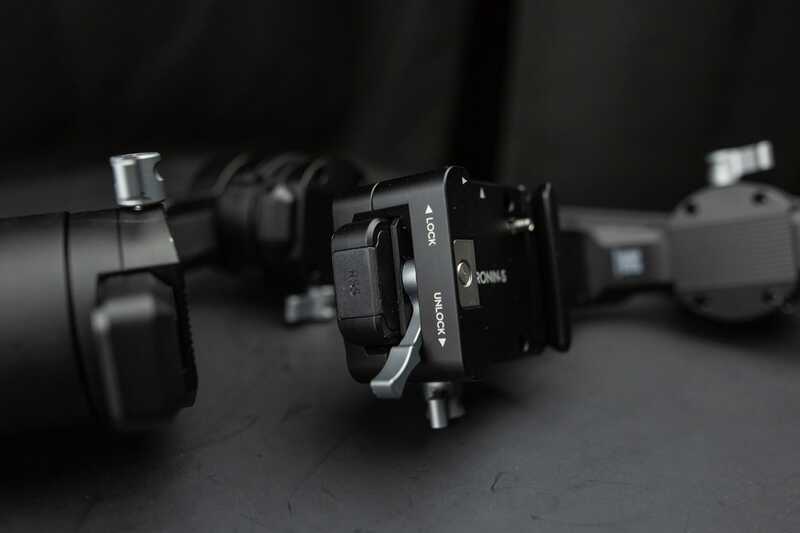 Not only have the quality and performance of gimbals advanced but somehow these products are become more and more accessible to the average user… if there is such a thing. 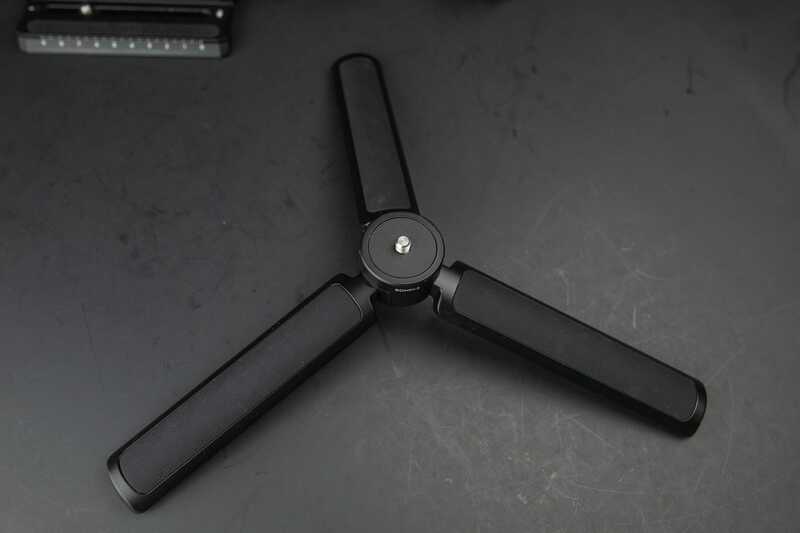 The Ronin-S from DJI is currently priced below $800 US at the time this review was written. This makes it very attractive option for those wanting to streamline their videography or even to those photographers whose taste buds have changed (like mine) and are looking to more and more pro-grade video work. The Ronin-S is not only built like a tank about the total amount of range it offers even for novice videographers is extraordinary. Add in the great ergonomics and crushingly cool style and you’ve got a stabilization gimbal with nothing but strong points. I can confidently recommend the Ronin-S to anyone who wants a well made, high-performance platform that won’t make you sell your camera in order to buy.